Just south of Mason, Texas, along a dirt road, this field of bluebonnets stretched to the tree line in the distance. 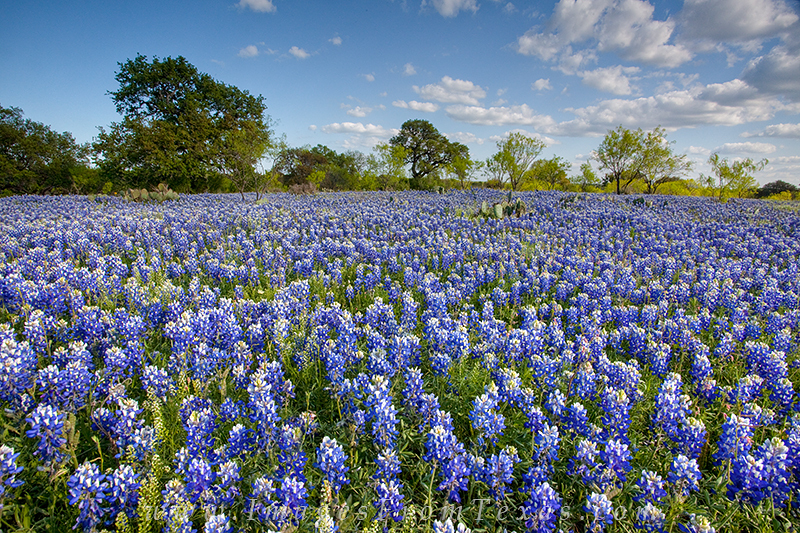 I've seen this area as a sea of blue, and in some springs there has been nary a bluebonnet as far as you can see. You just never know! Photo © copyright by Rob Greebon.